Trading on the global foreign exchange market is very popular now as a career for many. Digital trading via the internet has meant that the market is open to all, as long as you have a computer to trade on and an internet connection. Whether you trade full-time each day or just spend an hour or so on it each night after work, trading on the forex market is something that anyone can do. With the big returns seen within the currency market, it is easy to see the attraction. It is thought that four times the global GDP is traded each day here and the total volume per day on trades is over $5tn! This massive daily trading volume dwarfs even the biggest stock exchanges such as the London Stock Exchange. Of course, to be successful as a forex trader, you need to have everything in place beforehand. One key thing to think about is which FX broker you will use. The broker you use is where you will place your FX trades online and gives you access to the market. As such, they play a big role in how you fare. One great way to find out the information you need quickly is to look at an online FX broker review site. These not only save you trawling through each individual broker to find the information you want but also give an impartial, expert source of advice to base your decision on. Let’s say you fancied signing up with the well-known broker Alvexo – a look at an online Alvexo broker review is the best way to find out what you need to know first. Superb customer service – as you will be trusting your money to the online broker you use, you need to find one that has great customer service. Look for a broker that is open during hours that suit you and has support in your language. It just makes it much easier to get any issues or questions answered! It is also wise to look for a broker that has a range of options to contact it via and one that is easy to get hold of when necessary. Choose one that offers demo accounts – this is a good tip for any inexperienced traders who want to practice a little first, without any risk. Most brokers will offer demo accounts, which allow you to trade on the FX market but with fake money. This not only allows you to get a feel for the broker before using your own money but also enables you to fine-tune your trading strategy first. Regulated and secure – we all know that anything online needs to have robust cybersecurity, and FX brokers are no different. The broker you choose needs to offer top-level SSL security and 128-bit encryption as standard. You should also check that they are regulated by an official and recognised agency in their region. If not, steer well clear! Easy-to-use site and charts – there is no sense in signing up with a broker whose platform you find slow, frustrating or confusing. This will make you reluctant to trade and unable to perform to your best. Try to find a broker that has an easy-to-use website with an intuitive interface and sensible navigation. The charting software on offer is also worth looking at as this is where you will spend most time and find trading opportunities. Look for charting software that has a good choice of indicators and that is mobile-friendly, easy to use, and suitable for your level of experience. Good choice of assets with low spreads – many FX traders will want a range of assets to trade, from various currency pairs to indices and even some shares. This will stop you from getting bored trading the same few things and also give you access to more opportunities to make money. Make sure to look at the spreads and commissions that each broker charges for dealing with your trades though – naturally, you want as low as possible, so you keep more of your money. Finding the right broker is something that a lot of traders overlook or do not take seriously. However, it is key to your overall trading success. Simply signing up to the first one you come across with a flashy website is a big mistake! 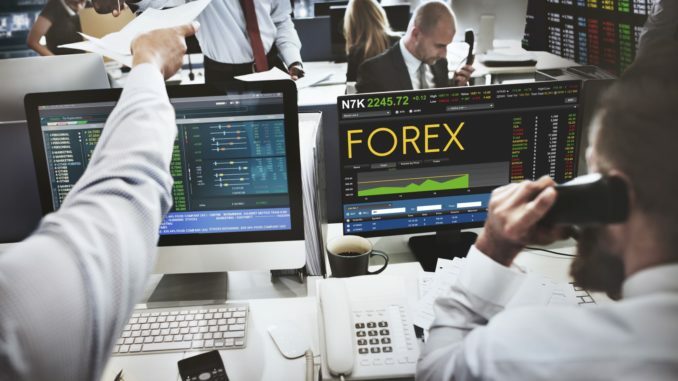 Taking the time to thoroughly review the choice of online FX brokers out there and selecting the one that will work best for you is essential.